This Article explores a new field: international property law. International law increasingly creates, regulates, or otherwise affects the property rights of individuals, business entities, and other non-state actors. Globalization, democratic reforms, technology, and human rights principles have all contributed to this development. The Article begins by examining the unsuccessful effort to create a broad, internationally-enforceable human right to property during the second half of the twentieth century. Despite this failure, international property law doctrines have evolved in specialized contexts over recent decades. The Article demonstrates that these doctrines stem from four sources: (a) regulation of the global commons; (b) coordination of transboundary property rights; (c) adoption of global policies to prevent specific harms; and (d) protection of the human rights of vulnerable groups. Finally, the Article argues that the time has come to recognize international property law as a discrete subject, and thereby promote its coherent evolution in future decades. 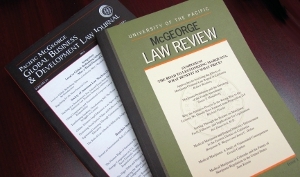 The Article discusses the value of recognizing international property law, explores an international definition of "property,"
John G. Sprankling, The Emergence of International Property Law, 90 N.C. L. Rev. 461 (2012).